Shaker Maker Disney Princess Cinderella and Rapunzel from Cool Create is a fun, simple plaster kit for children that allows them to create decorative pieces that they can enjoy on the shelves in their bedroom. 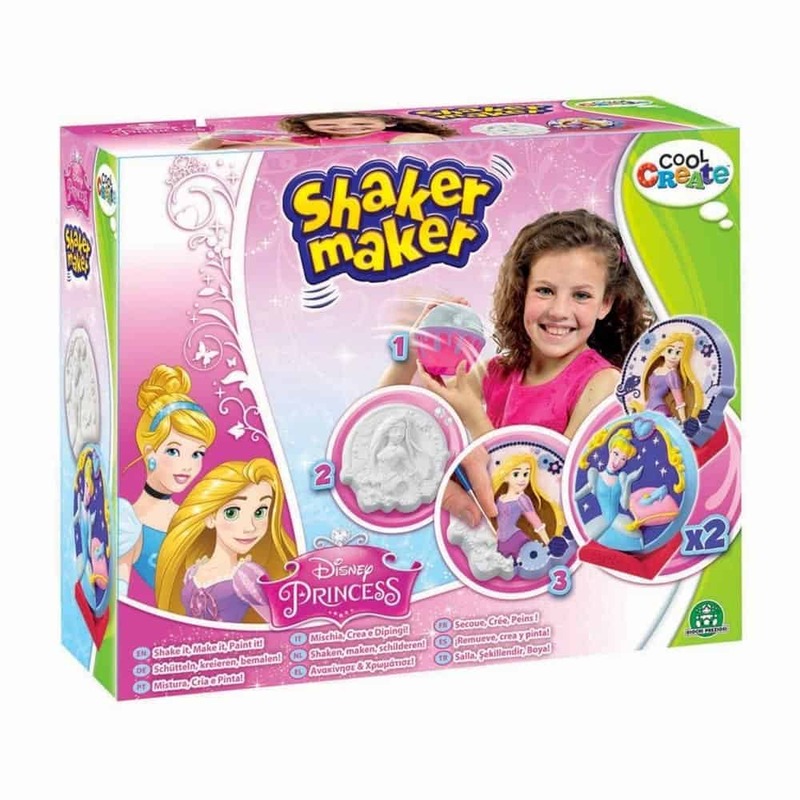 The shaker maker consists of a Shaker Maker pod, 2 princess moulds, 2 packs of plaster, 2 stands and a paint set, everything you need to complete this kit. 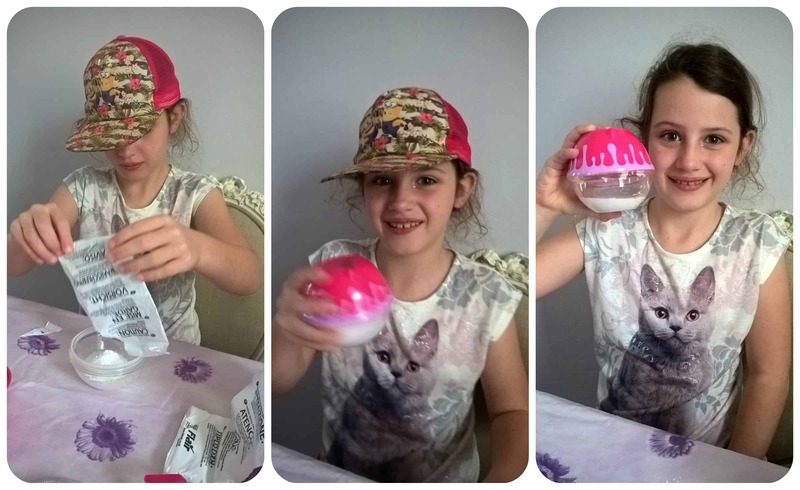 I wasn’t sure what to expect with the Shaker Maker and how messy it would be but I have to say I was really impressed – so simple for a child to use and completely mess free! All you have to do is add some warm tap water into one half of the shaker pod up to a certain line then tip the bag of plaster in. 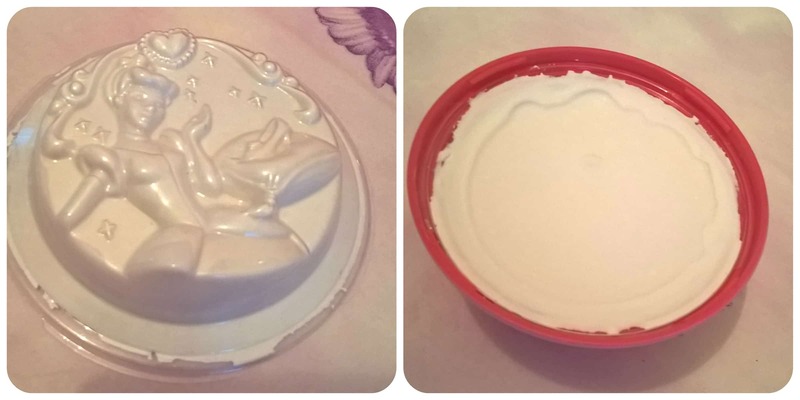 In the lid, insert one of the princess moulds then screw the lid on to the base. Shake well and then tip so that the mould is at the bottom and the plaster mixture sits perfectly in the mould, no mess, no touching it, all the hard work is done for you. Then gently tap the sides to remove air bubbles and leave to stand for at least an hour to dry out. My daughter couldn’t wait to start painting them which is a part she really enjoyed. The paint brush that is included is really fine, much better than the usual brushes you get with kids kits, which enabled my daughter to try and add some detail. 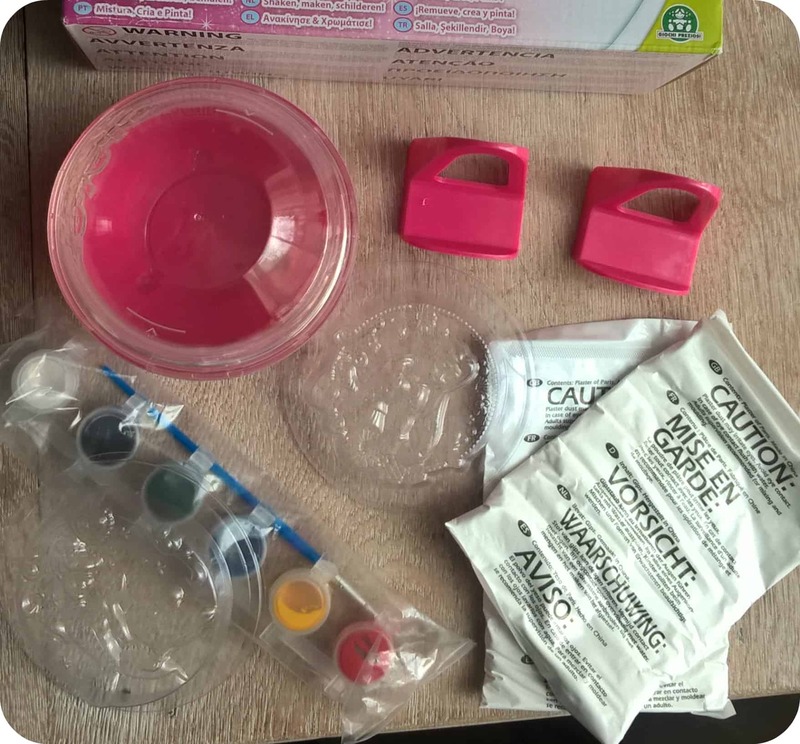 I think the finished results look great and this is a great kit for kids to get crafty with, experiencing plaster moulding and painting. This would make a great gift anytime, something they can enjoy doing and something that they can keep after. 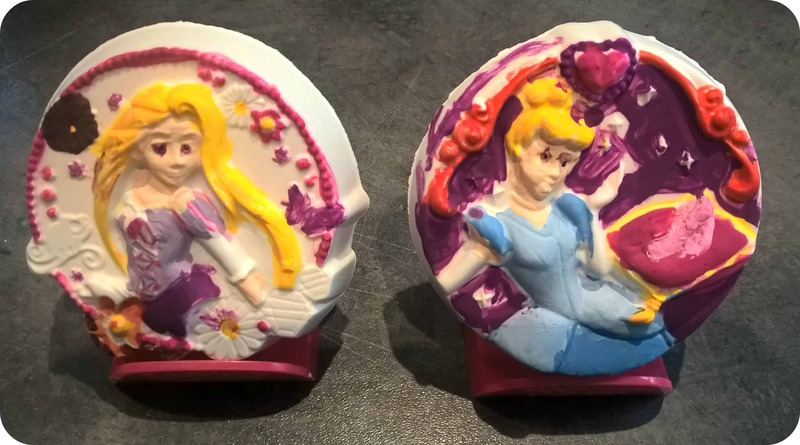 The moulds are also reusable so if you buy some more plaster you can make some more princesses! 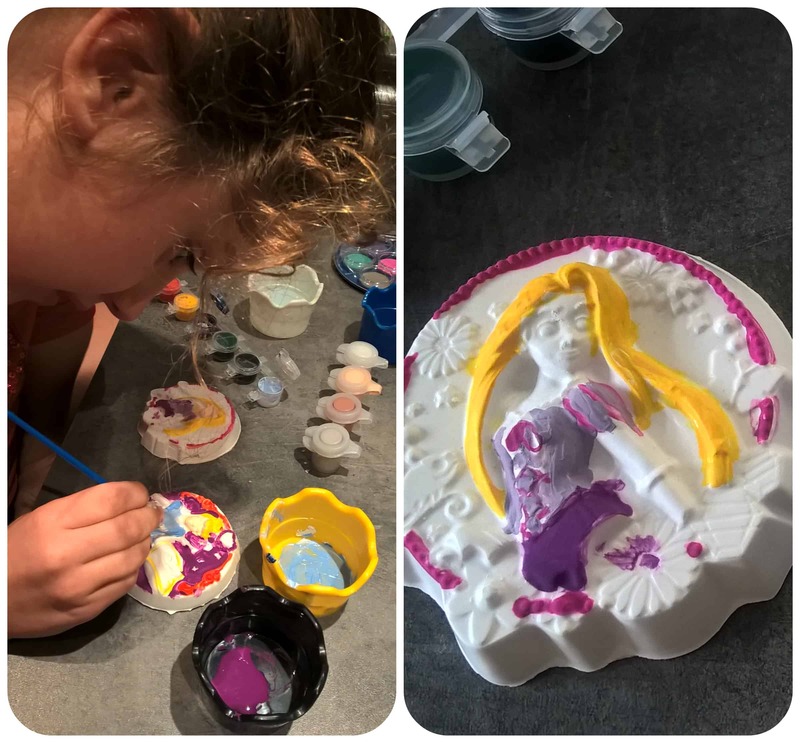 This entry was posted in Reviews and tagged cinderella, cool create, craft, disney, kids, painting, plaster, princesses, rapunzel, shaker maker by Fiona Martin. Bookmark the permalink. Miss A used to love making these. I like that you can contain the mess well with these sets. We had them before and they are so easy to make. Your daughter did a brilliant job at painting it. I love them! I remember my sister having things like this when she was younger. I really should get some for Little Miss A I bet she would love it.